Are you ready for a career that allows you to set your own schedule, be your own boss, and bring joy and significance to the clients you work with? Berkshire Hathaway HomeServices California Properties has partnered with Chamberlin Real Estate School to offer you a home-study program that will prepare you for the California real estate licensing exam. 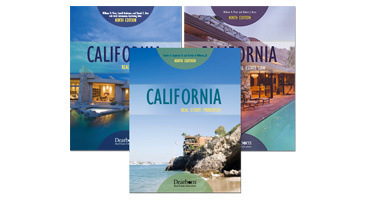 This California Bureau of Real Estate approved program includes either online courses or textbook-based courses plus the added benefit of Personal Instructor support. You will also have access to practice tests and a live two-day weekend crash course. Our online courses are delivered entirely over the Internet through an engaging and interactive format. Our traditional correspondence courses use physical textbooks with online chapter quizzes and final examinations. 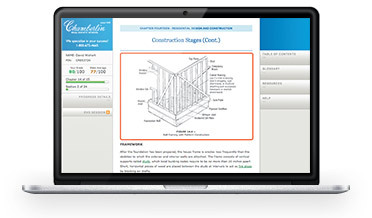 Engaging and interactive online courses. California Bureau of Real Estate approved. Tablet and smartphone compatible courses. Berkshire Hathaway HomeServices California Properties is part of one of the fastest-growing real estate networks in the nation. As a Berkshire Elite brokerage, we rank in the top tier among all Berkshire Hathaway HomeServices brokerages nationwide. As a real estate professional in Southern California, you have the potential for unlimited success. Newly licensed agents who join Berkshire Hathaway HomeServices California Properties receive opportunities for ongoing education, advanced training, coaching programs led by established agents and inspiring managers, plus the support of a powerful brokerage that is locally known, nationally recognized, and globally respected.